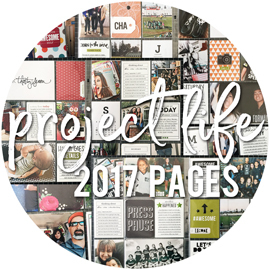 It's the second Tuesday of the month, which means that it's time for another step-by-step monthly project sheet to go up over on the Bella Blvd blog. This month, I focused on the new Hello Autumn collection and was asked to create a Thanksgiving Day themed layout. We don't really take photos on Thanksgiving. Not sure why not. Might be because we're usually running in different directions, to different family get-togethers, with different sides of the family. That being said, a few years back I did take the time, during two different family get-togethers, to take photos of each family member, as well as have them all write down what they were thankful for. Since I create single page layouts for the project sheets, I thought it would be fun to create a few smaller "pockets" on one side of the page that you could tuck your handwritten thankful notes into. To create the pockets, I cut pieces of three different patterned papers. I then cut a small strip (the same width), folded it over the top of the larger piece, and adhered in place. I machine stitched across the smaller strip, to give the illusion of a pocket. When adhering these "pockets" to the page, I only added adhesive along the sides and bottom, which left the top part open for tucking things into. I decided to include my immediate family members on this layout, which include Joe, myself, and the girls, as well as my parents, my brother, and his wife. It worked out to a nice even number of photos, otherwise I would have added my sister on there too (she lives out of state, so she's not with us every year at the holidays). I printed the photos roughly 2.5" x 2.5" in size, and changed them all to black and white. I started with a strip of the blue woodgrain patterned paper (LOVE the woodgrain patterns in this collection! ), and then arranged my photos in two rows, starting at the top of the page. I knew this would leave me enough room across the bottom of the page for my title and some embellishments. 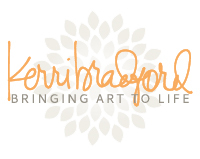 The beige triangle patterned paper in the collection is a great neutral paper for backgrounds. I adhered a strip of that across the bottom of the page, that I first spritzed with a bit of tan misting spray. I used a combo of navy blue letter stickers and brown chipboard letters to create my title. 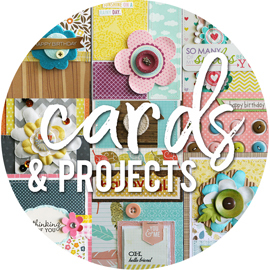 I have to admit that I don't always turn to the more "cutesy" chipboard pieces in some of the Bella collections. But I couldn't resist these little turkeys! They were too cute to not use. There are several fun tags and journaling cards in the Paper Pieces die cut package that would be great for having family members write down what they're grateful for. You could also use small pieces of patterned paper or cardstock, cut into tag shapes. I also slipped a few feathers into the pockets, right along with the handwritten cards, just to add a fun touch. I actually just wrote these out super quick (I did manage to convince Sarah to write one for me), just to give an idea of how they would look tucked into the pockets. If anyone were to pull these out in person, you'd find that only that top section is written on. The rest is blank. Lol. 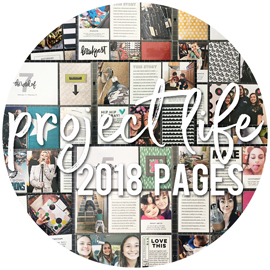 To download the November project sheet, which includes a complete supply list and step-by-step directions, just head on over HERE. LOVE this page Laura--you even have feathers--GREAT job! 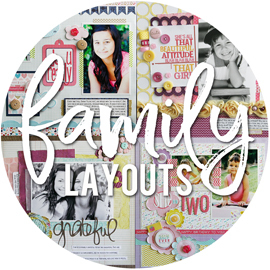 What a strikingly beautiful layout and family. 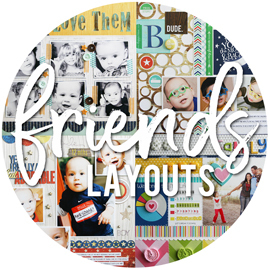 Thank you for the inspiration, I have made a layout inspired by your layout http://margaretlcrawford.blogspot.com I have given you credit on my blog.